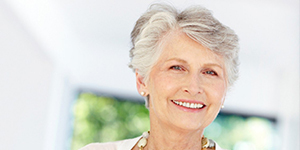 When it comes to dentures, many people have mixed information and feelings about them. The idea of keeping some fake teeth in a glass of water (the widest representation of dentures) doesn’t make anybody cry with joy. However, dentures have come a long way and modern dentistry offers patients incredibly easy solutions for difficult problems. Let’s see today five things you need to know about our dentures Lauderdale by the Sea FL services! Dentures can be – first and foremost – full or partial. The full ones are used when they need to replace all the missing teeth in a patient’s mouth, while the partial ones are recommended when there are still some natural teeth to work with. Dentures can take the shape and function of cemented dental bridges, permanent or removable dental implants, and so on. The final decision will belong to your dentures Lauderdale by the Sea FL expert who will recommend you the best course of treatment. Unless to go for some generic economy dentures that look fake and stay in place with the help of adhesive, professional dentures look, feel, and function just like your natural teeth. Our dentures Lauderdale by the Sea FL models are made of biocompatible materials and trademarked surfaces so you can enjoy a perfect smile and good quality of life forgetting that you even wear dentures. We work with licensed and certified laboratories, our staff has nearly 60 years of clinical practice, and we keep on learning and training in the latest materials, techniques, and equipment, so the end result you get is perfect. Professionally made and implemented dentures don’t need heavy maintenance. Of course, you have to keep your daily oral hygiene routine and make sure your dentures don’t get cracked or damaged. But given the strong and durable materials used and the skills of our doctors, your dentures can last you up to 20 years without major interventions. Of course, with age, your gums may shrink and your jaw bone may suffer modifications, but our doctors will catch any such change in time and act accordingly. Our dentures Lauderdale by the Sea FL specialists will actively work with you to find the best solutions of making your dental services affordable so you can enjoy your new smile without financial stress.